Each Chauvin clamp-on earth resistance tester is delivered in a carrying case with one 9V battery and a user’s manual. 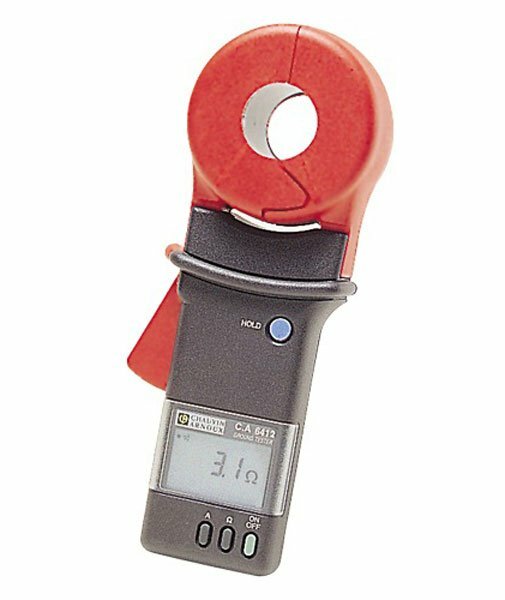 The ideal measuring instrument for parallel earth networks, the Chauvin Arnoux C.A 6412 earth clamp is ultra-fast and safe; earth loops can be tested quickly by simply clamping earthed cables. To complement the traditional continuity and earth measurements, clamp-on earth resistance testers offer the advantage of quick earth testing in total safety (the electrical installation remains connected to earth, even during the test). Resistance: 0.10Ω to 1200Ω (7 cal.). RMS leak current: 1mA to 30,00A (3 cal.). Electrical safety: EN 61010 cat.III 150V. Dimensions: 235 x 100 x 55mm. Chauvin C.A6412 Warranty: 1 year. Carrying case, 9 V battery and a C.A6412 user’s manual.